Dan Miranda, president of HSA Commercial Real Estate, and John Wilson, president of HSA PrimeCare, announced today that HSA PrimeCare has finalized development of the Hawthorn Surgery Center, a 15,200-square-foot state-of-the-art outpatient clinic to be occupied by Hawthorn Surgical Associates (“Hawthorn”), a subsidiary of Surgical Care Affiliates LLC. 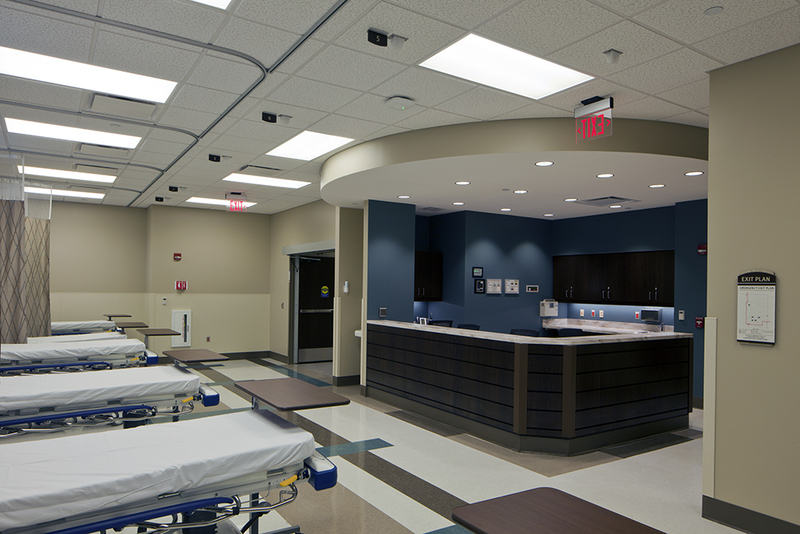 The newly-completed ambulatory care center located at 240 Center Drive in north suburban Vernon Hills, Ill. features three surgical suites, one procedure room, and 14 recovery stations. Hawthorn selected HSA PrimeCare, the national health care real estate division of Chicago-based HSA Commercial Real Estate, in 2012 as its development partner to plan, develop, and own the property. HSA PrimeCare also consulted with Hawthorn to estimate and allocate costs for the requisite Certificate of Need application and to coordinate with the village of Vernon Hills and neighboring land owners on an extensive re-platting process. HSA PrimeCare executed the project on a tight 7-month construction schedule in order to ensure a smooth transition from Hawthorn’s current facility in Libertyville, Ill.